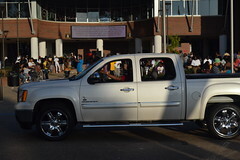 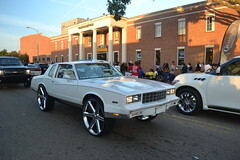 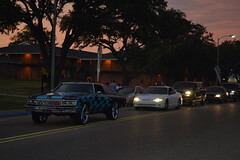 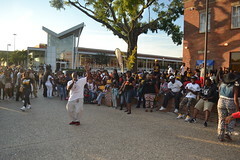 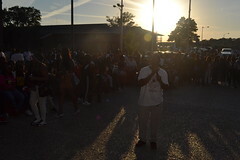 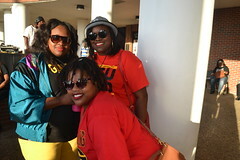 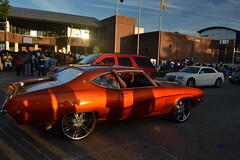 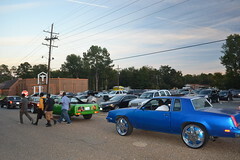 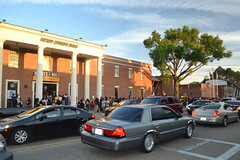 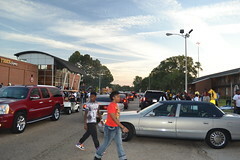 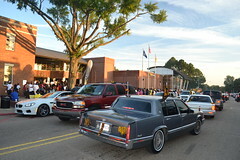 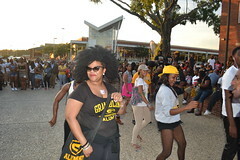 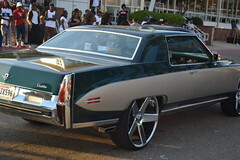 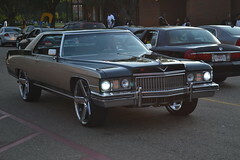 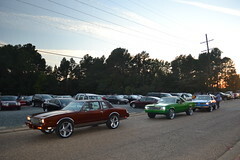 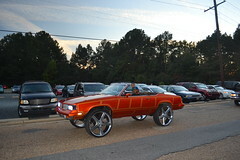 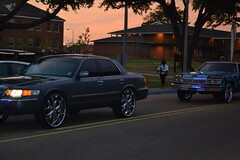 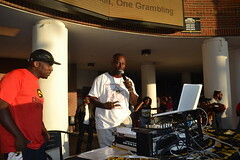 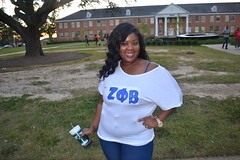 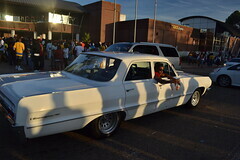 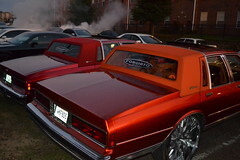 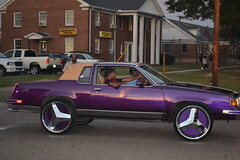 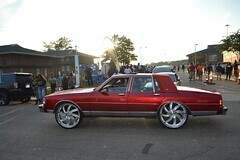 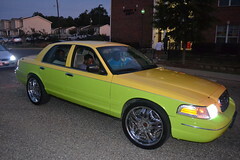 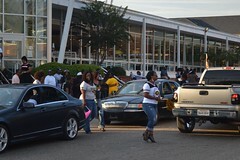 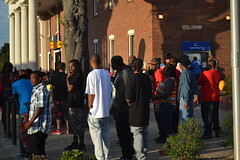 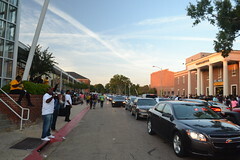 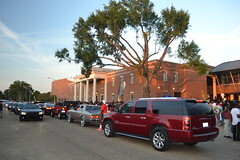 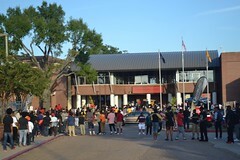 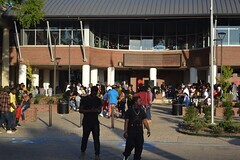 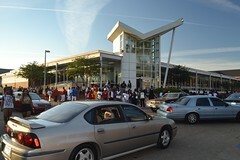 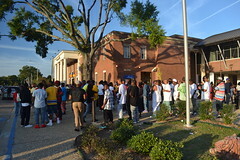 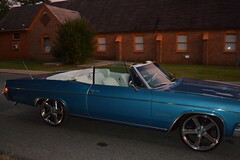 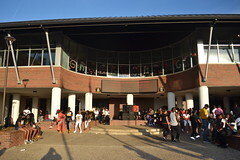 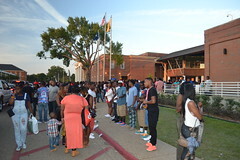 On previous years at Grambling homecoming, there had been something of an impromptu car show up and down Ralph Waldo Emerson Jones Drive, but this year, local authorities had managed to prevent that, and the street was nearly empty. 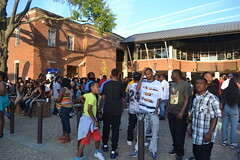 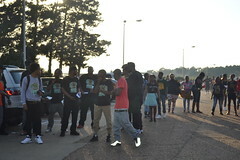 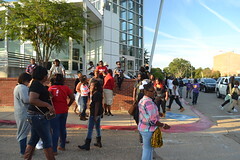 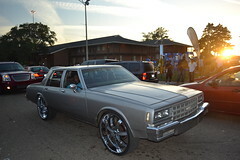 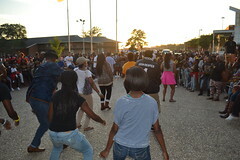 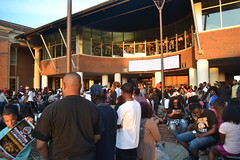 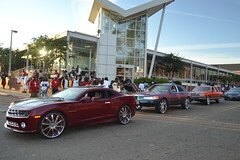 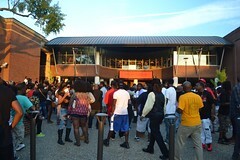 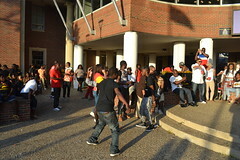 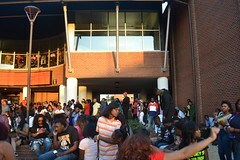 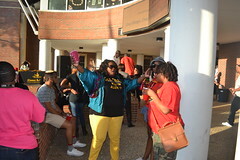 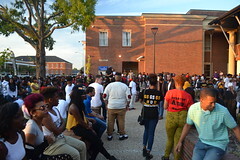 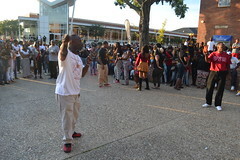 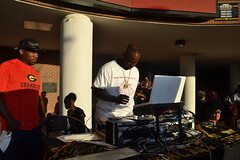 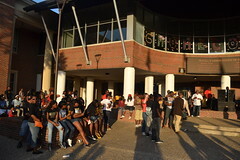 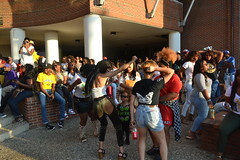 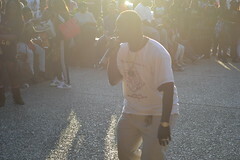 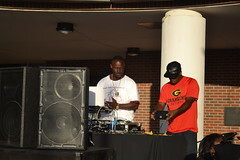 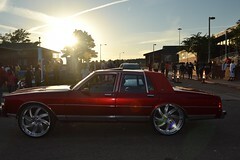 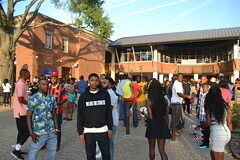 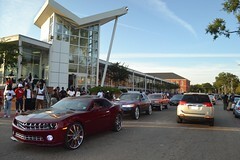 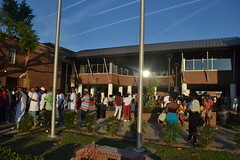 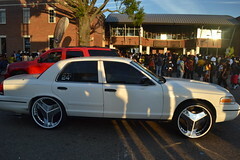 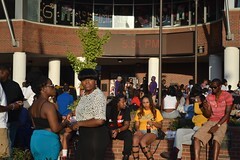 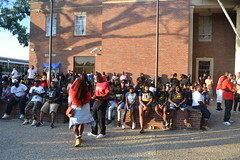 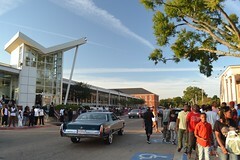 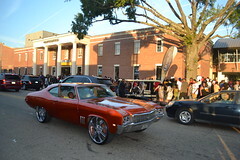 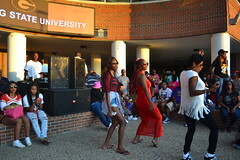 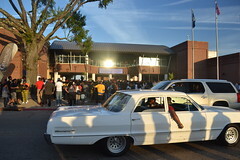 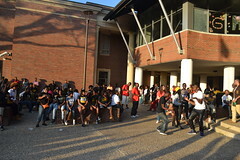 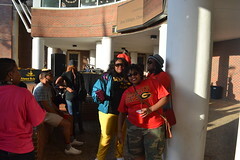 Instead, there was a block party featuring DJ Jubilee outside the Favrot Student Union, and the custom cars were cruising through the campus on Main Street instead. 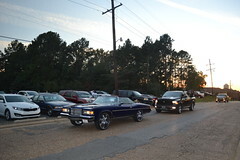 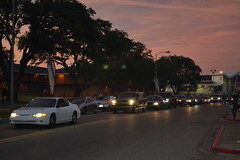 With the weather was warm as it was, the party drew a huge crowd of people, but eventually the campus police and parish sheriffs moved to stop the cruising loop of cars. 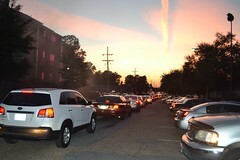 The resulting gridlock actually made it hard for me to make it off the campus and out of town.